TruBe are pleased to announce or timetable for our weekly yoga Pop Ups being held at Spaces, Oxford Street. The event will be held in the club room on the first floor, the address is 4 Winsley St, Fitzrovia, London W1W 8HF. Yoga is great for decreasing your stress levels, improving your core and muscle tone and improving your posture! And most importantly, it’s fun! Make the most of your lunch time and increase your productivity for the rest of the day by coming to our lunch time sessions. This is perfect for those who are not early risers and who struggle to fit in exercise after work. So come along and enjoy our fun and interactive yoga session which will be sure to put a spring in your step, put you in a great mood and feel less stressed. 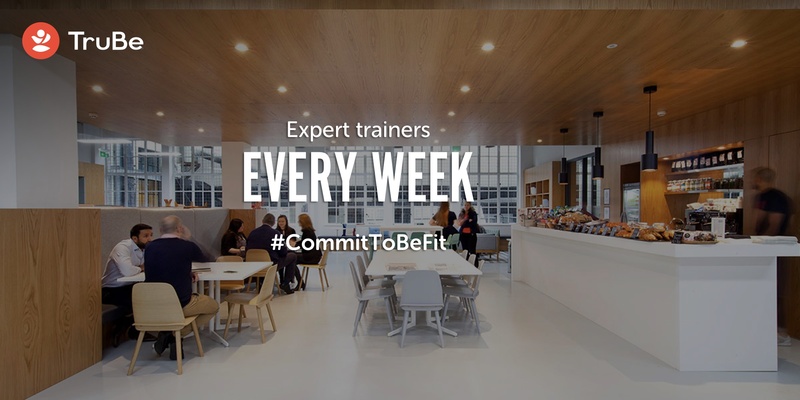 Choose a session from the timetable below and #committobefit with us! Follow us on on our Facebook, Twitter and Instagram for further updates! To book a session just download the app and pick a session to suit you!